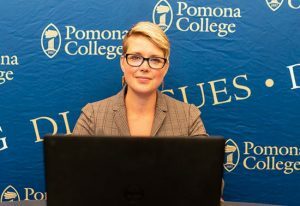 Professor Hollis-Brusky teaches courses on American politics, constitutional law, and legal institutions in the Politics Department at Pomona College. 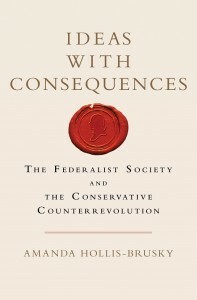 A go-to expert on Supreme Court politics, Professor Hollis-Brusky has written and spoken about the Supreme Court and the conservative legal movement in various media outlets, including NPR’s All Things Considered, BBC World News, the New Yorker, the Los Angeles Times, The San Francisco Chronicle, The Washington Post, New York Magazine, Newsweek, AirTalk with Larry Mantel, KCRW’s Press Play and California Edition. Hollis-Brusky is also a co-founder of the Southern California Law and Social Science Forum. Her research examines the dynamics of constitutional change and the role “support structures” play in that process – i..e., networks of lawyers and academics, non-governmental institutions, and ideas. Her first book Ideas with Consequences: The Federalist Society and the Conservative Counterrevolution (Oxford 2015) won the American Political Science Association’s C. Herman Pritchett Award for the best book published on Law and Courts by a Political Scientist. Her second, in-progress book project on the rise and efficacy of the support structure for conservative Christian legal mobilization (Separate but Faithful: How the Christian Right is Reshaping Law Through Legal Education) is under advanced contract with Oxford University Press. Professor Hollis-Brusky and her co-author Professor Wilson were awarded a three-year grant for this project in 2016 from the Law and Social Sciences division of the National Science Foundation. Hollis-Brusky has also published several articles on the conservative legal movement, Originalism, the unitary executive theory and the Christian legal movement. In addition to her current book project described above, her other works in-progress include an in-depth examination of the empirical and theoretical utility of the concept of the “support structure” in studies of legal mobilization and constitutional development (“Support Structure Theory Revisited”) and a comparative examination of “parallel alternative” support structures in legal education (Historically black law schools, Law and Economics, and conservative Christian law schools). In 2014, she was one of eight recipients of the Wig Distinguished Teaching Award at Pomona College. In October 2015, she had the privilege of interviewing Supreme Court Justice Sonia Sotomayor. Professor Hollis-Brusky is on sabbatical for the 2018-2019 academic year.